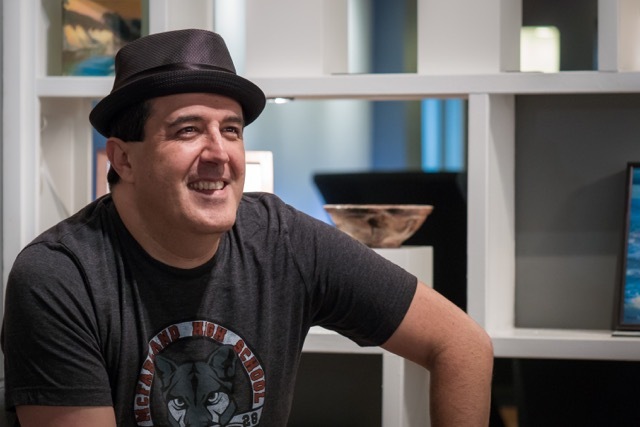 Matt Munoz is a musician, entertainment writer, and director of marketing at the Bakersfield Museum of Art. Before participating in a discussion of what Bakersfield sounds like today, he talked organization, gorgonzola, and Gold Bond Powder in the Zócalo green room. Gorgonzola. I really like the way that name kind of rolls off the tongue. What’s your favorite place to hear live music in Bakersfield? This morning—a lot. Just watching silly YouTube and Vine videos. I like getting stupid laughs to start the day, set the tone. What’s your favorite piece of art in the Bakersfield Museum of Art? I would say anything in our sculpture garden. What’s the strangest thing in your medicine cabinet? It’s your last meal. What do you eat?